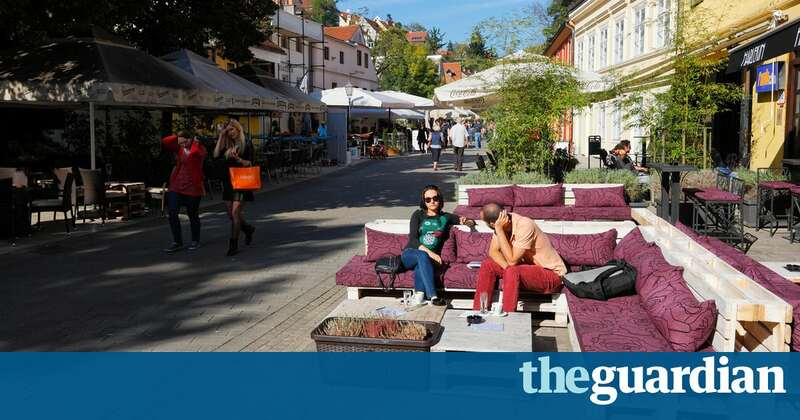 The epicentre of Zagreb’s bistro revolution is busy Nikole Tesle street, whose pavements almost exclusively contain restaurant terraces. Bistroteka particularly excels at breakfast. For health, order millet flakes, chia seeds, apples and cinnamon; for indulgence, poached eggs on toast beside cream cheese, spinach and bacon. 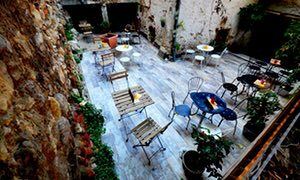 A regular feature of Zagreb are dvorište – courtyards: each block has several hidden cafes. 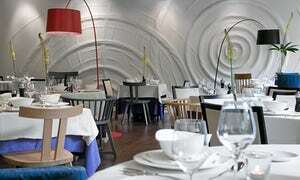 Run by ex-TV chef Ana Ugarković, Mali Bar is also upstairs, creating an added aura of escapism. Bask on its top-floor balcony over playful, healthy lunches: smoked tuna prosciutto with saffron sauce, say, or a goat’s cheese, radish, hazelnut and quail-egg salad. 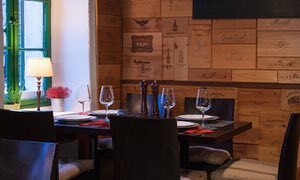 “One of Zagreb’s most popular one-dish bistros is La Štruk,” says Andrea Pisac, founder of city blog Zagreb Honestly. “Partly because štrukli (baked filo dough and cottage cheese; moreish but slightly sickly) is an authentic food, and partly because the place keeps thinking up new twists.” La Štruk has a really attractive tree-shaded back patio between stone buildings – ideal for trying štrukl twists such as pumpkin-pesto and blueberry. 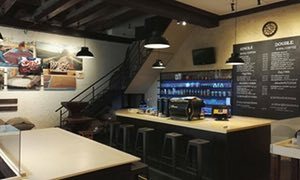 Found along another courtyard, Quahwa, off Nikole Tesle, is primarily an Arabica roastery. 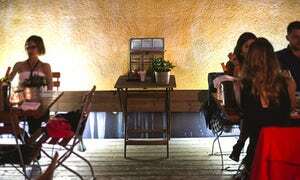 But you can sip the resultant cappuccinos at this, its month-old cafe, on a sun-splattered front veranda facing back up the alley. To the right is a clothing boutique, while opposite are parked motorbikes, the odd snoozing cat, ferns and laundry hung from residential lofts. Getting to A Most Unusual Garden requires a 20-minute tram ride from central Zagreb, but the broad terrace’s two-tier treehouse is worth it alone – not to mention an Alice in Wonderland vibe achieved through higgledy garden furniture and chessboard-style paths. A busy traffic junction is adjacent, but AMUG’s shrubbery neuters the noise. Come during balmy late-afternoons for G&Ts from a Hendrick’s bar. “For years in Zagreb,” says Andrea, “coffee was merely an excuse to socialise”. Velvet, owned by esteemed florist Saša Šekoranja, was, she adds, “one of the first places to marry caffeine with style”. 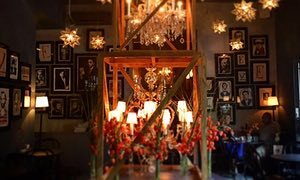 Neighbouring a small gallery, the cafe’s interior is lit by chandeliers, has crimson sofas, large plants and bold bouquets of seasonal flora. Slices of poppy-seed cake, a local staple, are equally pleasing. 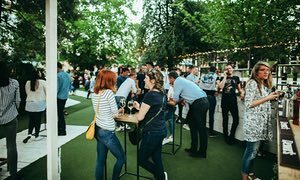 Another dvorišta haunt, relaxed Sherry’s Wine Bar & Bites serves quality tipples from across Croatia, including craft beers. 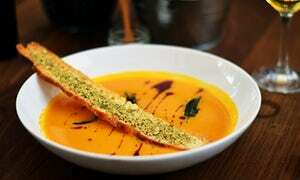 The bites are by Italian chef Gregorio Mannucci, formerly of the upscale Apetit restaurant, and range from burgers to plates of sausage or cheese. Evenings are vibrant here: some sit on a fairy-lit terrace, while others groove to jazz bands inside. • Wine from £15 a bottle,Ilica 73, +385 1 4008 150, on Facebook. At its northern end, the Upper Town slopes downwards into enchanting Tuškanac forest, full of silent trails and giant trees, and curiously deserted. Just inside is Dubravkin Put, “a fine-dining restaurant that’s as classy as its unique location,” according to Andrea. Seafood has long been the speciality here, so choose the fish menu and start with a tartare of sea bream plus cooling green-pea sorbet. Handily located near the top of the funicular, Bistro Vještica serves hearty dishes like schnapps-flambéed chicken breasts, and bacon-wrapped pork medallions doused in mushroom gravy. 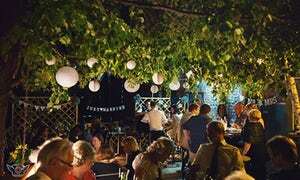 Beers by Garden Brewery – a sister enterprise to Croatia’s most famous music festival – are on offer, while lantern-lit tables render it all suitably romantic. The popular Pod Zidom bistro is 30 seconds’ walk from Dolac food market and each day’s menu is based on produce bought from stallholders. “There has always been a close connection here between farmers’ markets and restaurants,” says Andrea, “but Pod Zidom has raised the bar.” Regular dishes include pappardelle and duck ragout alongside homemade salsa. Zagreb’s handsome cathedral is a napkin’s throw from the obligatory, plant-lined terrace.